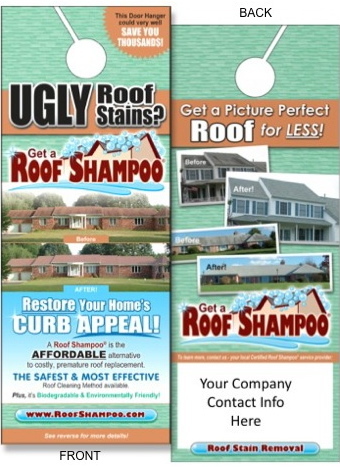 As independent contractors, Roof Shampoo® contractors have the freedom and flexibility to design and create their own marketing materials and to implement their own marketing strategies. They also have the option to take advantage of the convenience of purchasing our beautifully designed door hangers, brochures, business cards, and yard signs. For more information about Roof Shampoo® visit www.roofshampooo.com.